You must make reservations at least 5 minutes in advance of the time at Bam Bam Kitchen. There is a municipal parking lot located right next to our restaurant. There are metered parking spots (24/7) with a public lot which is available after 4:00 PM during weekdays (Mon-Fri) and whole day during weekends (Saturday & Sunday). Few street parking spots are available and more metered parking spaces are available on Rittenhouse Pl. 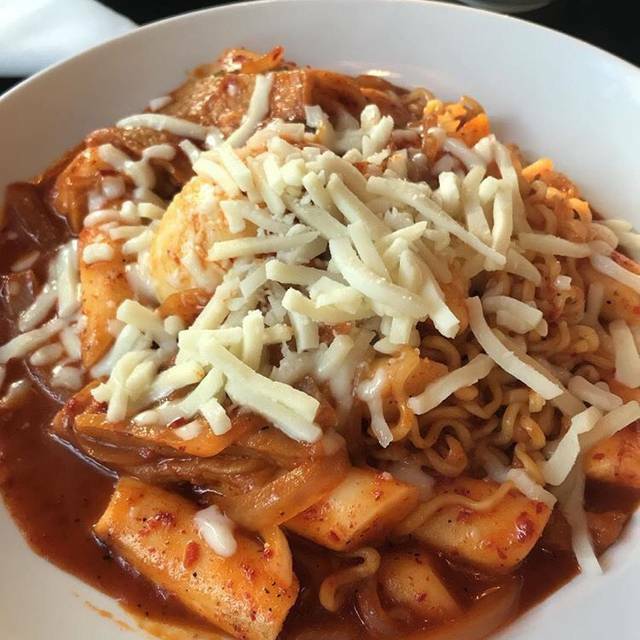 Bam Bam Kitchen is an authentic Korean Restaurant located in the heart of Ardmore, Pennsylvania serving traditional Stone Bowl Bibimbop, Japchae, Korean Fried Chicken Wings, Soft Tofu Soup, and many more eclectic and exquisite Korean dishes. Ginseng whole young chicken (filled with garlic, rice, jujube and chestnut) soup high in protein. Great energy and immune system booster! The food here is consistently good. The service can be a little slow but the staff is usually friendly. Disappointed we made reservations for a party of 6 and we were sat beside the door where take out food is picked up and buzzers kept going off. 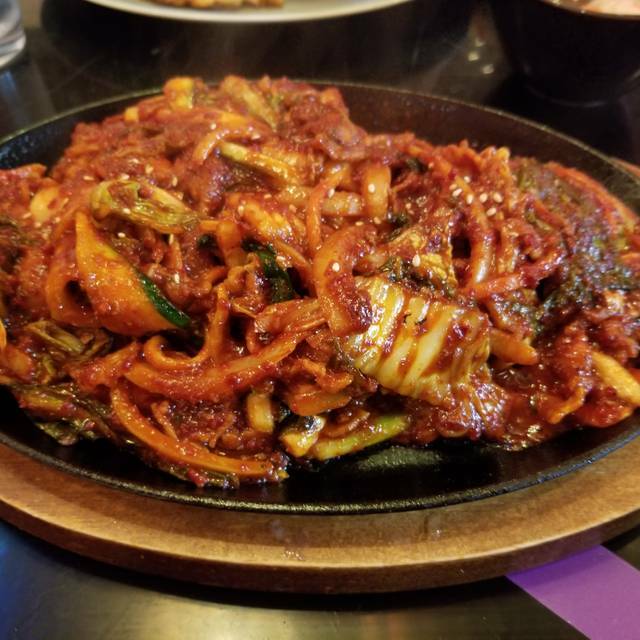 Best Korean food in Philly! Very fast and friendly service. Lovely ambience. Just did not find the taste of the any of our food very good, including the side dishes. Could possibly be just us. Everyone else in the restaurant seemed pleased with their meals. 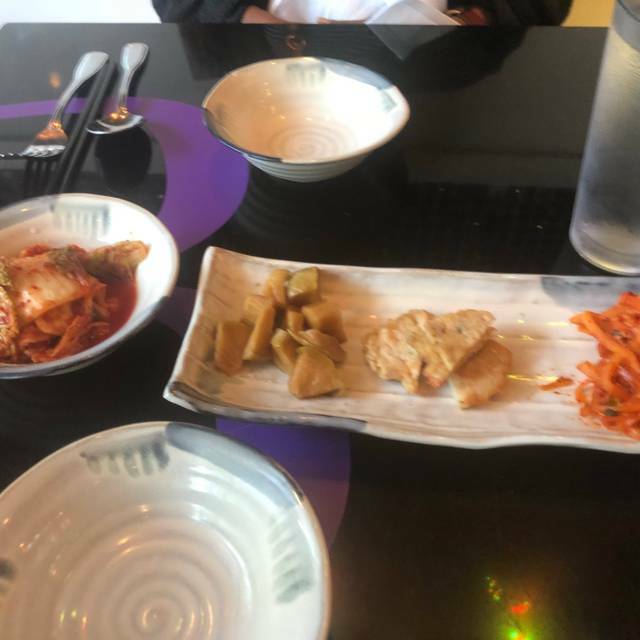 But we visit a lot of Korean restaurants in Philly, and we were highly disappointed here. Had actually placed another item to-go initially but thankfully they forgot. Likely will not return. We were there on a Friday evening . We had reservations. We were late and needed to eat quickly, because we had reservations for a show afterwards.. The staff could not have been more accommodating. Very nice people. The complimentary appetizer was amazing and so was the appetizer we ordered. We had the seafood soup. It was good but next time we will order something else. There will be definitely a next time. We looked at other tables, and the food looked absolutely wonderful. Great meal but for some reason I'm getting more sensitive to noise or people are getting noisier. I was across from my companion and we could barely talk to or hear each other because of an obnoxiously loud group of people (looked to be 2 sets of parents, sharing birth stories). They were so loud that others in the restaurant were turning to look at them, rolling their eyes. I will go back obviously because the food was excellent albeit slightly ruined by the noisy double date. Excellent food. Seating is tight. Otherwise a great restaurant! Everyone at our table ( ages 14-80) thoroughly enjoyed their dishes! The food arrived promptly, the temperature was perfect, and everything was so flavorful. We will be back. Bam Bam Kitchen isn't the best Korean food I've ever had, although is still solid. We had the Korean Fried Chickem, which tasted good, although wasn't as crunchy as it is at the best places. The bulgogi stir fry was a large portion and fresh, although a bit more seasoning was needed. The service was fine and the prices were reasonable. We really like the food a lot. We live in Bryn Mawr and come as often as possible. This was my second time to Bam Bam and it did not disappoint. The food was once again excellent. We also tried the Tempura Ice Cream.....YUM! Julia, the manager of the location, is excellent. She very customer focused and pleasant. Bam Bam is a winner! The food was great, and the service was fast and friendly. Can't wait to explore the menu in the future. Not sure how I missed this place before now, but it will be my new go-to place for dinner before a show at Ardmore Music Hall. I had a great dinner at Bam Bam....between me and my dining partner we tried 6 things and everything was DELICIOUS! Our first time to Bam Bam kitchen was terrific. The menu is broad in its offerings, the kitchen is amenable to modifications, the food and service were wonderful. We'll be back! Food are good. 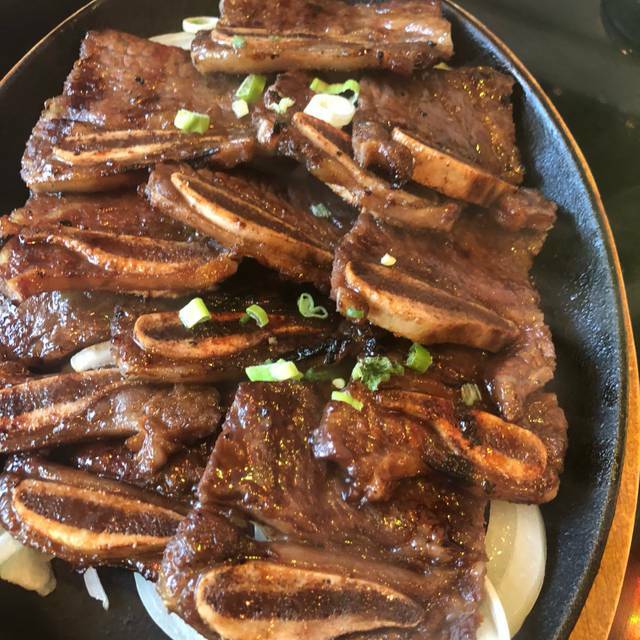 Recommend Korean style fried chicken wings, LA Galbi ( Korean BBQ Short Ribs ), Tofu stew with seafood. Floor is not clean, feel not good for that. The restaurant looked for as many tables had not been cleared. Our waitress was charming and helpful. The food did not look fresh or appealing and was just OK taste wise. I am not an aficionado of Korean cooking but my one other experience was superior. Probably will not return. Delicious food. Casual atmosphere but I like that they don’t make you feel rushed. Delicious food, cannot wait to go back. They make their own kimchi, and you can get it to go. Love the decor and comfort level. good spot for a date or just lunch with a friend. OMG. 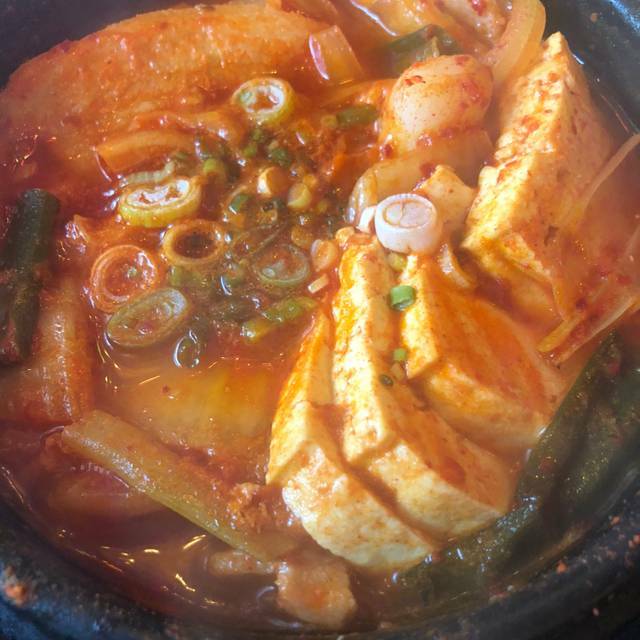 This restaurant is the closest I have come to authentic Korean cooking in the area. Reminds me of my many trips to Seoul and Daejon. Love their Fried Mandoos, Kimchi and Bobimbop. So many dishes to choose from for subsequent visits. If you love Korean food, this is the place. If you have never had Korean food, this is the place to visit for a first try. Very nice. We did wait a little bit long to be served, to get the check, etc but the food was absolutely amazing and well worth it. Bam Bam kitchen is my family's favorite place to eat. I love the quick service, friendly faces, and AMAZING food. All six of us had bebimbap, each one was served sizzling hot and was delicious. The chicken wings, ordered as an appetizer, were exactly as promised. This place is always so great! This place is always good. We love it and we keep bringing friends to share the experience. Absolutely delicious food in a surprising neighborhood. 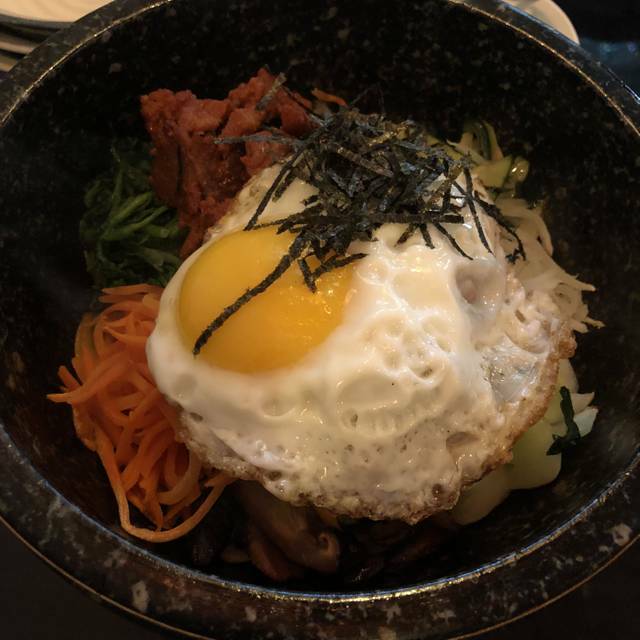 Authentic Korean food with some surprising new takes on classic Korean foods. Lack of Korean alcohol was disappointing. The kimchi, pajeon, and KFC was spot on. Make sure to use the service buttons on the table, as the staff doesn't invade your space like most restaurants. Excellent value for the amount of food served. 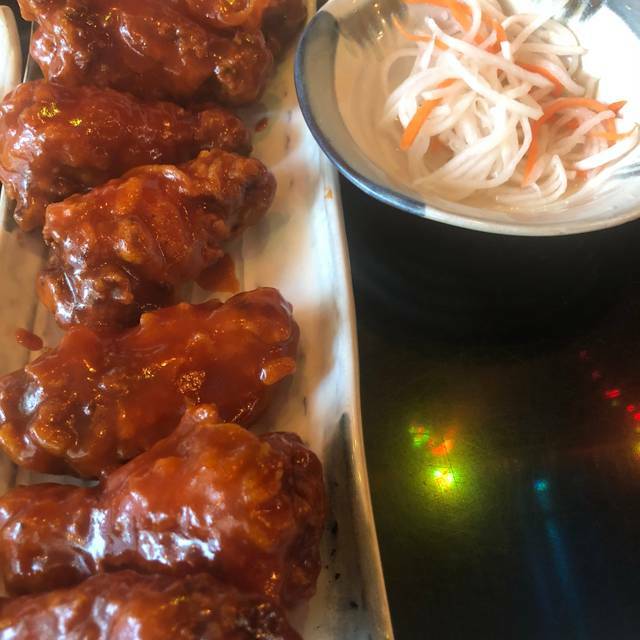 Best Korean chicken wings I've ever had! 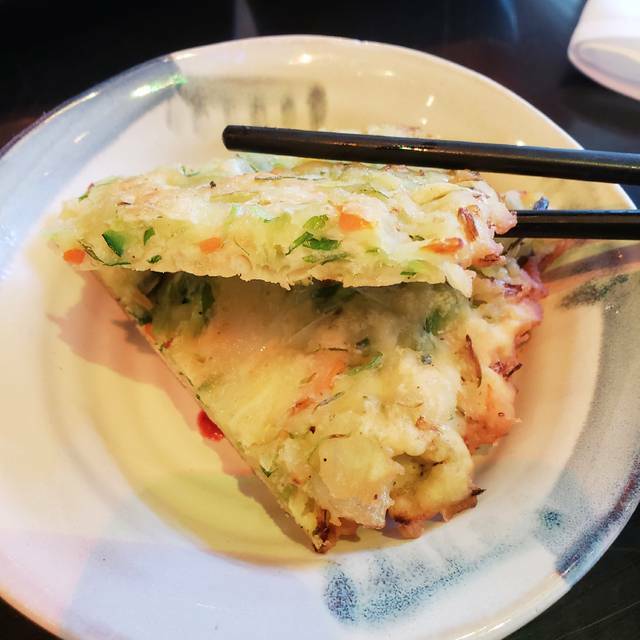 Also the savory kimchi pancake was delicious! Very diverse menu. Excellent Korean cuisine. We will return. Our normal post-concert Korean food. Our server remembered us at or second visit even though both visits were a month apart. I was pleasantly surprised to see some real Korean food here. Very nice staff. Just don't sit next to the door on a cold night! Bam Bam is one of the few (if not the only one) authentic, delicious Korean restaurants in the Main Line. My girlfriend and I come every weekend, and we are constantly excited to try new menu items. Amazing prices for big and filling quantities. Wait staff is super friendly, and don't impose on your experience. Highly recommend the wings, soups, and bibimbap! The food was good, but not great. The complimentary pickled veggies and kimchi were nice, and the korean fried chicken was excellent. The rest of our meal was ok. 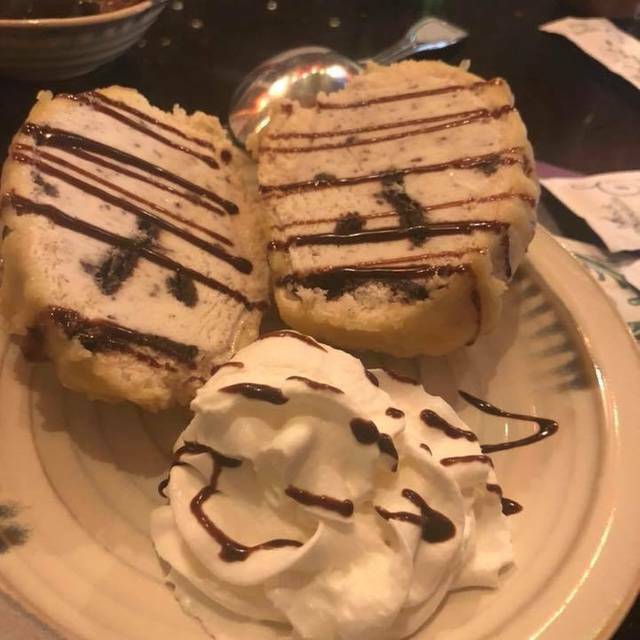 The tempura fried ice cream was pretty bad - from the tempura not being particularly crispy and the quality of the ice cream being pretty bad. I would go back, but I'd be much more selective and get dessert somewhere else. It's a perfectly adequate restaurant, but I'd go somewhere else if you are looking for something really special or unique. From other reviews, I'd say this place was a bit over-rated. Great food. Energetic neighborhood place.